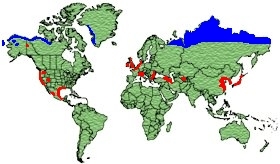 Along Arctic coasts from Kanin peninsula to the river Kolyma, Baring Straits through Alaska, Canada to King William Island. 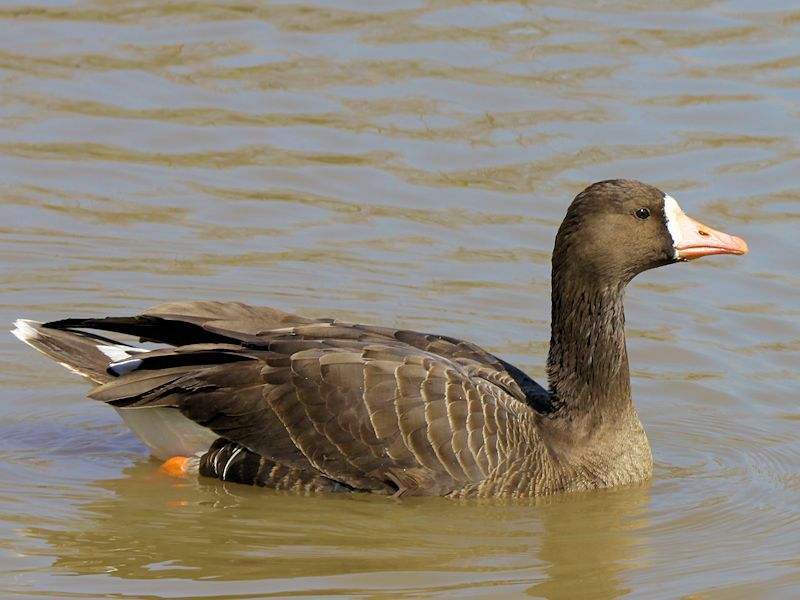 The Greenland Geese winter in Ireland, Scotland, Eastern England and West Wales. 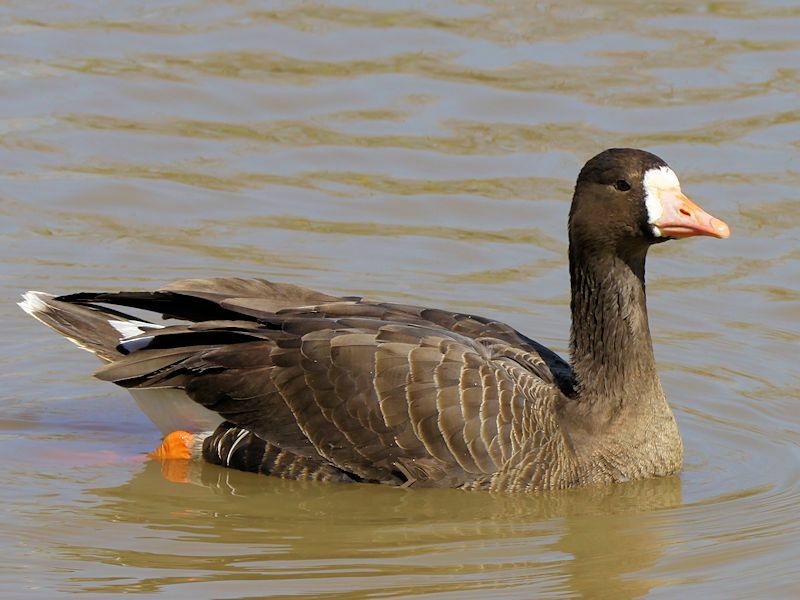 Pacific Geese winter in India, Bhurma, China and Japan. 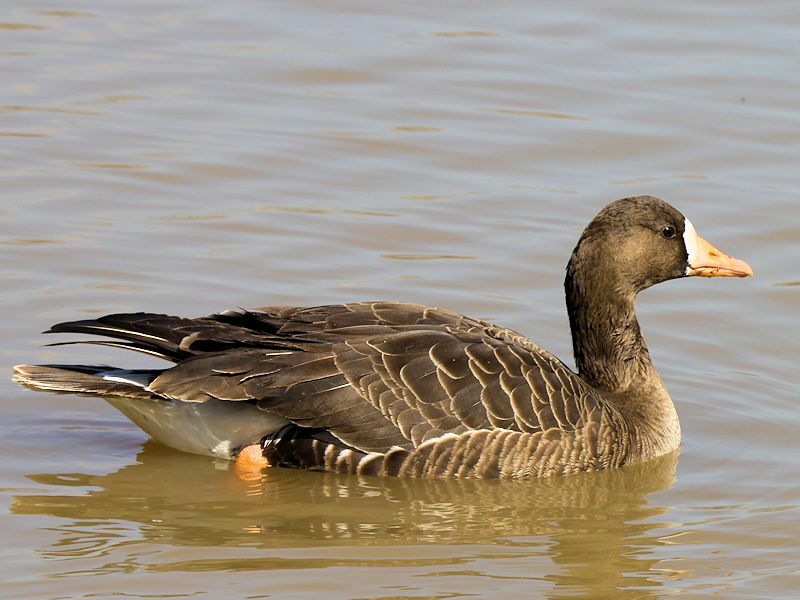 American Geese fly south to Texas and Mexico. 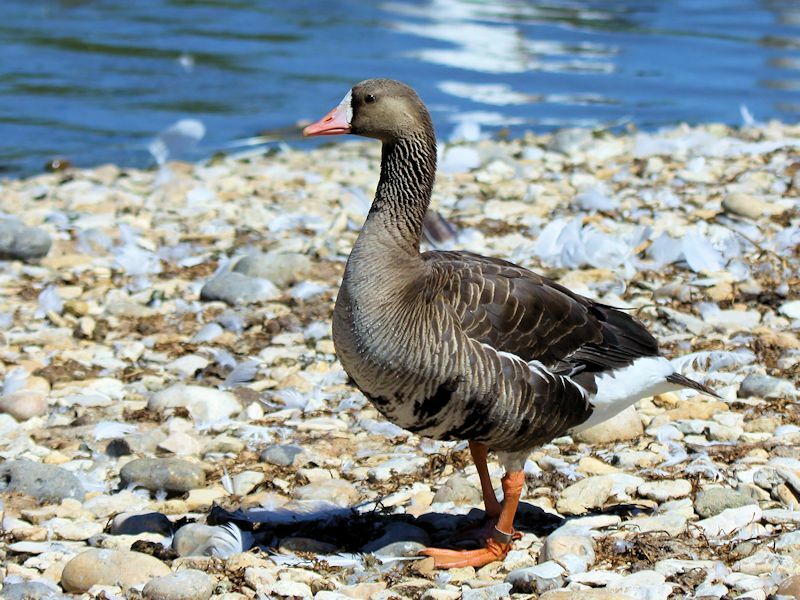 The male has mainly Grey/Brown plumage with a dark Brown head and neck. 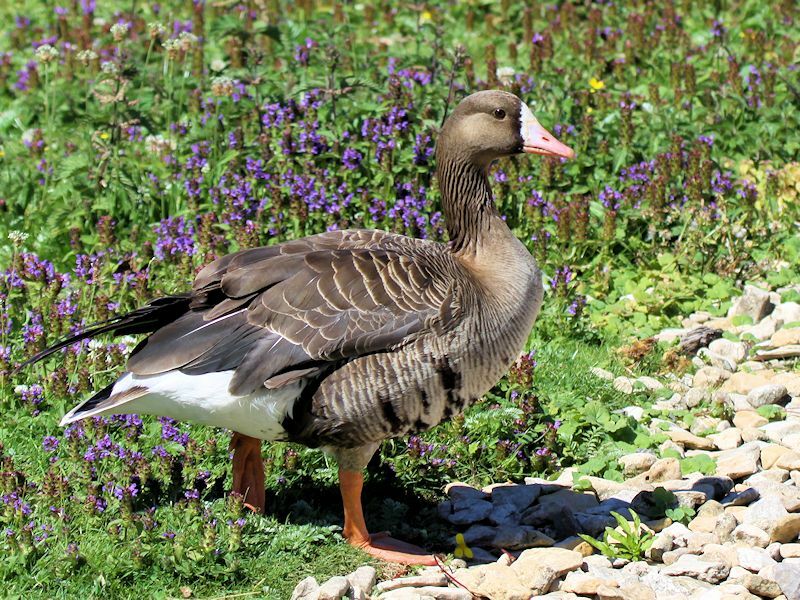 The bill is Pink (European) or Yellow (Greenland) and has a distinctive White patch of feathers around the base extending to the front of the face. The back is dark Brown with lighter Brown under-sides. 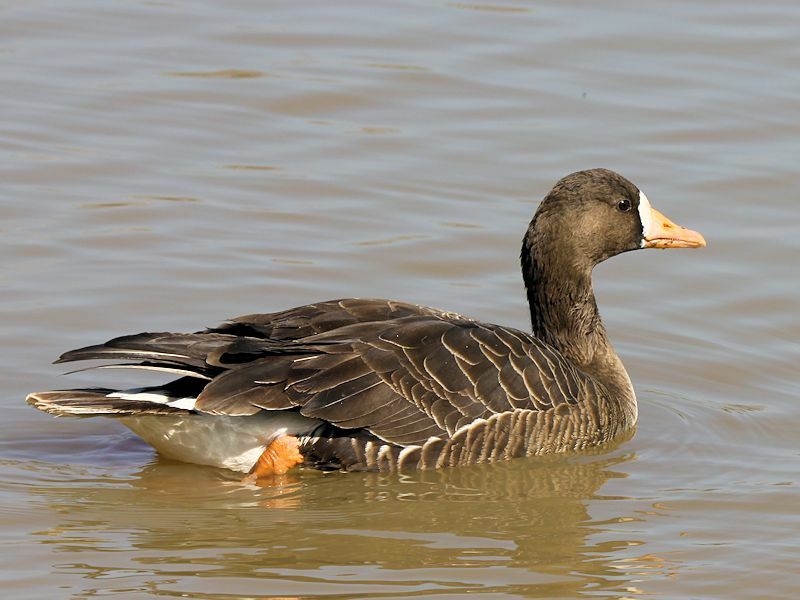 The lower breast and belly has Black bars. The flanks are dull Brown and the vent and upper-tail are White. The legs and feet are Bright Orange. Similar to the male though slightly smaller. 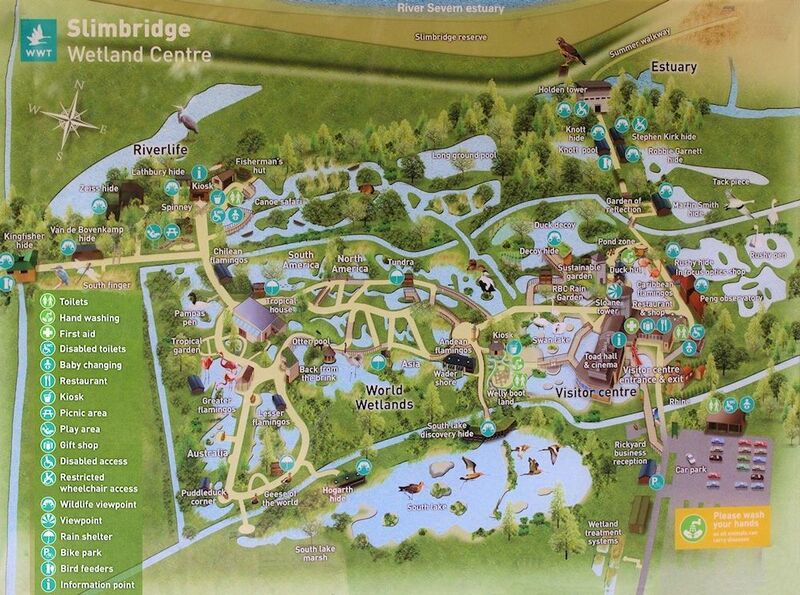 Grasslands, Salt Marshes, Fields and Estuaries. Grasses, Grain, Cereal, Potatoes, Insects and Molluscs. 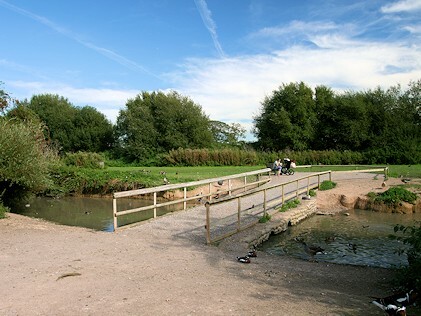 The nest is built on a small mound lined with vegetation feathers and down. 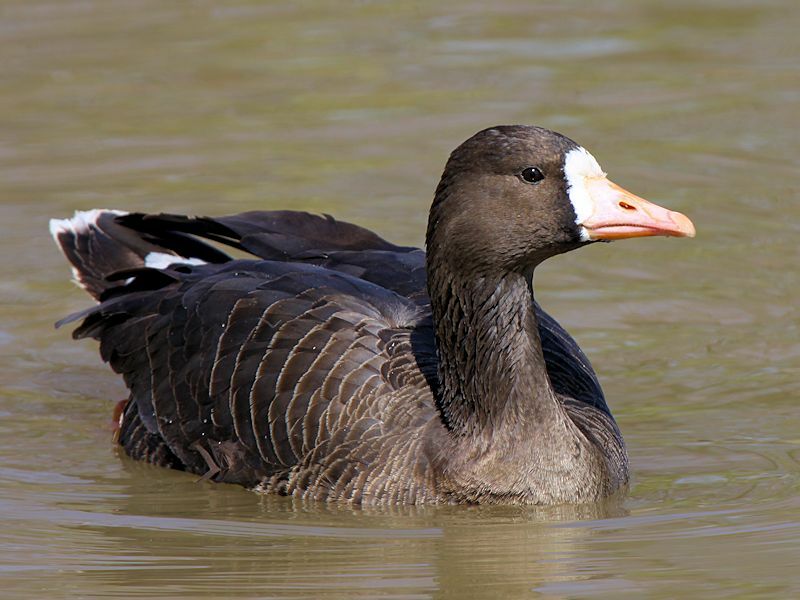 The White-Fronted Goose, also known as the Greater White-Fronted Goose, is a member of the Anser genus which consists largely of Grey plumage. 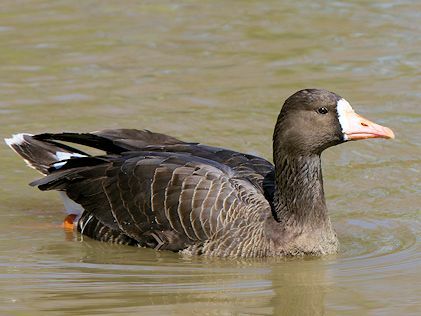 The White-Fronted Goose is named from the White patch around the base of its bill. 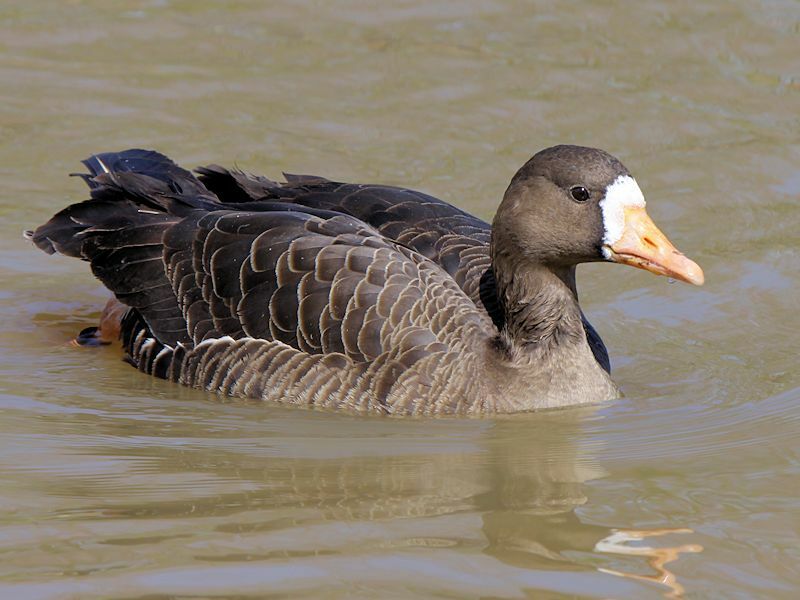 The White-Fronted Goose is similar to the Lesser White Fronted Goose but is smaller and also lacks the Yellow eye ring.